The Florida Panthers made three trades on Saturday to significantly improve the team’s depth and veteran presence heading into what could be an exciting playoff run for the franchise. The biggest name of the trio is Jiri Hudler, who played a key role with Calgary last season as a veteran leader on a very young team. Much like Calgary, Florida is stacked with young talent, so Hudler should be an excellent asset to the club moving forward. There are many NHL fans that refuse to give the Florida Panthers the respect they deserve. Probably because the last thing you think about when Florida comes to mind is hockey. With that said, full marks have to be given to the ownership and management for what they have done with the product over the last several seasons. 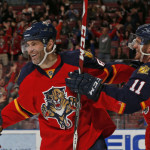 Be it through the NHL Draft with selections like Aleksander Barkov, Nick Bjugstad, Jonathan Huberdeau and Aaron Ekblad, or attracting key veteran pieces like NHL legend Jaromir Jagr and All-Star netminder Roberto Lunogo, the Cats definitely have put together an impressive roster. These Florida Panthers did enjoy a taste of the playoffs a few short years ago, but this season is clearly the team’s most successful one since the unexpected Stanley Cup appearance in 1996. Florida currently sits in second place in the Eastern Conference with 78 points through 61 games. On Saturday, Panthers management proved they are serious about parlaying this regular-season success into a lengthy playoff run, acquiring several pieces to strengthen the depth and talent of the team in all areas. 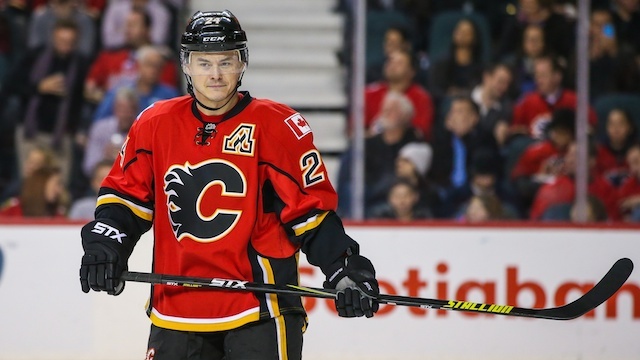 First, Florida made a splash by acquiring star Jiri Hudler from the Calgary Flames in exchange for a second-round pick in 2016 and a fourth-round pick in 2018. 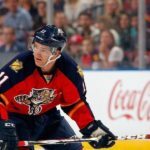 In 657 career games, Hudler has scored 155 goals and 251 assists for 406 career points. It’s a nice move for the Panthers, who add some scoring depth to their already-talented roster. Hudler hasn’t produced as much as he did last season, but he’s still just one year removed from scoring 31 goals and 76 points in 78 games. 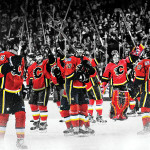 I have no doubt Hudler will be rejuvenated joining a playoff team injected with young talent. I would consider using him in all fantasy hockey formats. The Florida Panthers were not done, though. The team also added two useful veterans in need of a change of scenery, acquiring Teddy Purcell from the Edmonton Oilers in exchange for a third-round draft pick and defenseman Jakub Kindl from the Detroit Red Wings in exchange for a 2017 sixth-round draft pick. Purcell has played in 544 career regular-season games with the Los Angeles Kings, Tampa Bay Lightning and Edmonton Oilers; he has 98 goals and 196 assists for 294 career points. Kindl, 29, has appeared in 273 career NHL regular-season games, all with Detroit. 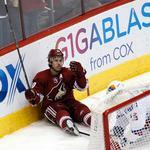 Kindl has accumulated 16 goals and 52 assists for 68 career points. Saturday was a very busy and successful day for the Florida Panthers. The acquisitions should help tremendously for the remainder of the season and into the playoffs… Most impressively, the moves were made without having to give up much in the way of assets.